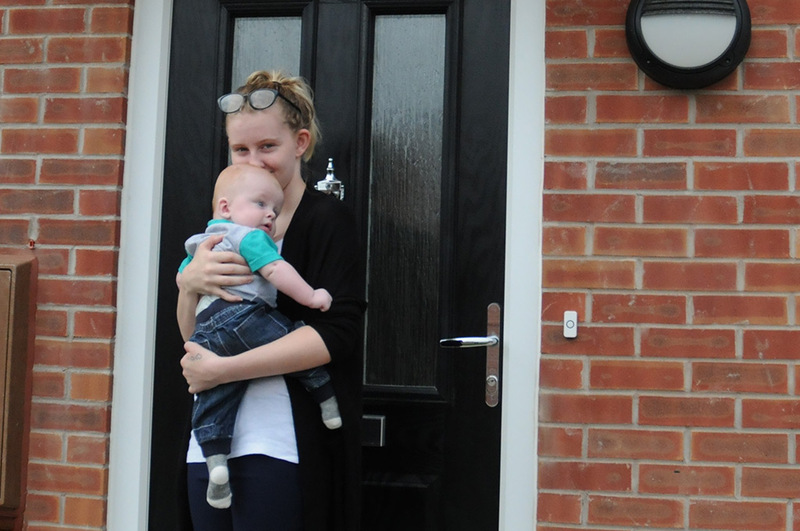 We recently saw the first tenants move into new homes at Hilltop Avenue in Shirebrook. 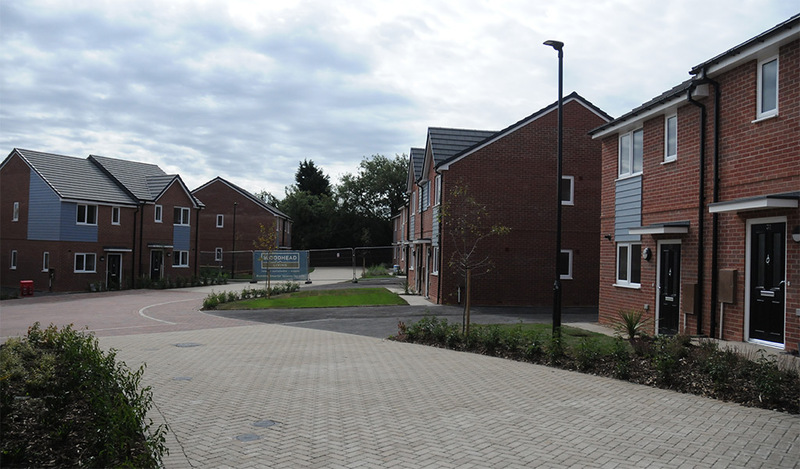 The new homes are part of Bolsover District Councils B@Home partnership. The site had been described by previous developers as being unbuildable due to the sloping nature of the site (11% gradient from front to back) but construction company, Woodhead Group worked with the Council and engineers to find a solution. 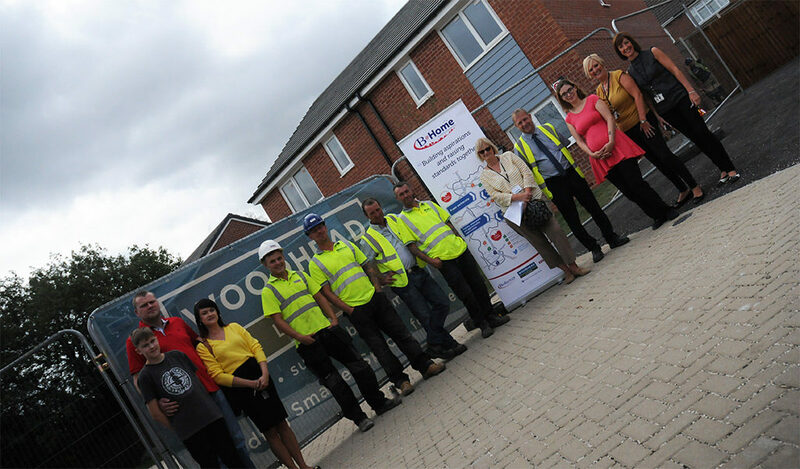 The B@Home Partnership formed between the Council and Woodhead, through procurement consortium, EEM Ltd will see around 100 new council homes built for local families across the district of Bolsover. The development at Hilltop Avenue in Shirebrook is on a steep hill, and in the past had stopped developers wanting to build properties for sale. However the B@Home Partnership found solutions to the site’s gradient issues, enabling them to create 37 new homes in total, including four apartments, one bungalow and 32 two and three bedroom family homes. The first four apartments and two family homes have been handed over to their new occupants, who are all pleased to be moving in to this fantastic new development. New resident, Rebecca Jennings, said: “I love our new home, that me and my little boy will be moving in to. Everything is brand new, the rooms are really good sizes and the road is really lovely and quiet. Craig Pygall, Construction Director for Woodhead Group, said the Hilltop development demonstrates why partnerships bring so much more. This site was considered ‘un-developable’ due to the steep gradients and outcrop of rock. Cabinet Member for Housing, Councillor Hillary Gilmour said, “We are always thrilled to see new homes built for our residents and these, like the previous ones are the latest in the set of quality new council homes which meet our high expectations. The Hilltop site is a flagship development for the B@Home Partnership, and has been part funded by Homes England. While on site, Woodhead has worked with a number of local suppliers and employed local labour, with 73% of materials sourced within just 20 miles of the sites across the B@Home Partnership.